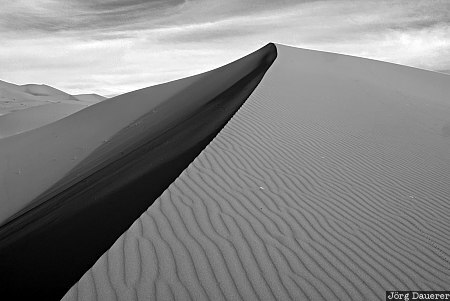 The patterns of sand and shadow of the sand dunes of Erg Chebbi at the western edge of the Sahara desert illuminated by warm evening light. Erg Chebbi is in Meknès-Tafilalet in the eastern part of Morocco. This photo was taken in the afternoon of a sunny day in March of 2010. This photo was taken with a digital camera.